I am a new product junkie and this has been my go to pay for it for a long time! The one mascara that I always come back to because it gives me the best results! My first impression on this product is that I love that it doesn't smell, some mascaras have a very distinct smell to them, unlike this one. Which was a huge plus for me. It glides on smooth and the brush keeps your lashes separated, so no clumps, which is always another huge plus. However this formula is best for length and length only it seems. It doesn't make my lashes look fuller like other formulas do. So I tend to use this along with my old mascara, so I have the length and fullness, with no clumps! Performance No clumps and nice long lashes. The brush is fantastic and I plan to keep it around to use for separating lashes long after that product is gone. It stays on all day long too. I have never had an issue with it fading, flaking, or simply wearing away as the day goes on. It looks just as good at 7 in the morning, as it does at 5 in the afternoon, after a long day at work and lots of blinking. I also wear contacts and have never had an issue there either. Ease of Application Super easy to use. The brush is a great shape and makes for easy application. The CoverGirl LashExact Mascara is pretty good for the price. You can buy this at any local drugstore probably, and it does help in lengthening my eyelashes. I saw the commercial for the CoverGirl mascara and her lashes looked very long and beautiful, so I went to the drugstore and bought it. After applying it on, there weren't any clumps (which I really despise) so that was terrific. Also, each strand of my eyelash were lengthened and you could see it separately, instead of all of them being bunched together. However, one thing about this product that I didn't really like was the application process. When I used the wand to apply the mascara to my eyes, there wasn't much product, so I had to constantly apply more and more. Besides that, the CoverGirl LashExact Mascara really does waken up my eyes and makes my overall appearance look better and more alert. I recommend this mascara if you're looking for something good and inexpensive. Not a great mascara. It leaves a lot of clumps. CoverGirl's Lash Blast Mascara is not too bad. It goes on easily and the brush is very nice. However, it does leave a lot of clumps in my lashes if I try to put on more than one coat. I always use more than one coat because my lashes are not very long and need the extra dimension. I always prefer a mascara that allows me to do without the fear of clumping or my lashes sticking together. I do not believe that I would buy this mascara again. I have since changed brands and am happy that I did. I purchased this product because it was relatively inexpensive and I have never been disappointed by a Covergirl product before. I bought this and was pretty excited to try it once I got home. I took off my mascara I was wearing for the day and started playing around with this new Covergirl LashExact Mascara I had just gotten home. I was not really impressed by the brush, it seems overly simple like it can't do a very good job. I was wrong. Although the brush may be lacking, it still can produce pretty good results. I am satisfied with the way this mascara reacts when you layer it on top of itself. It didn't clump up and it kept adding length to my lashes with each coat. I was overall pretty impressed with this product because it is so inexpensive. It's not even a top name brand product, but it still did a remarkable job. I would recommend it to other people who need a quality mascara for an inexpensive price. I've seen commercials for this mascara and have seen it in the drug store and grocery store all the time. I was in need of a new mascara quick and bought this one spur of the moment last second to see how it would work and also because the price was very reasonable. It was also readily available around me instead of having to going to a specialty make up store or a department store for it. It worked very well the first couple applications and for the first couple weeks I had it, however after a couple weeks it dried out very quickly and i couldn't use it anymore because it got very chunky very quickly. Whats weird though is that it wasn't clumpy on my eyelashes at all, only after it dried out itself was it clumpy and gross and difficult to use. I also got the brown-black color which I really liked matching my eye lash color very well and also it didn't look too heavy, it laid very well on my eye lashes lengthining them very well and also curling them at the same time without using my curler. This is one of the few mascaras that I've ever used that actually delivers on the "no clump" claim. It really lives up to its Lash Exact name because it defines and volumizes each and every lash even the small hard to reach lashes in the inner corners of my eyes. This is my go to mascara when I'm going for a polished daytime look. If you're wanting something more dramatic, however this might not be the right formula for you since it goes on looking very natural. Also, be aware that this is a volumizing formula, not a lengthening one, so while it perfect for thickening up skimpy lashes, it won't make short stubby lashes appear longer. One other plus that I have to mention, is that even though Cover Girl doesn't advertise Lash Exact as being formulated for sensitive eyes, I find this to be extremely gentle and non-irritating. It's one of the few mascaras on the market that don't make my eyes sting and tear. Performance It lasts all day without flaking or leaving raccoon rings. Ease of Application I love the long thin brush! 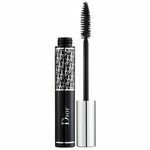 It reaches and coats every lash and never leaves wet mascara globs on my lashes or eye area. Covergirl is by far my favorite mascera. I long how long and dark my lashes look when using cover girl mascera. I also like how full my lashes look, especially with the lash extract from cover girl. I find that cover girl is a affordable brand and easy to purchase. It is available at many local drug stores. My mascera lasts all day; I do not need to reapply it and my lashes look great and full. Performance Cover girl mascera allows my lashes to look long and full. 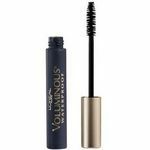 It does a great job at volumizing my lashes. The wand also provides a natural curl look to them. i have gotten asked if I have fake lashes because of how full and luscious they are. 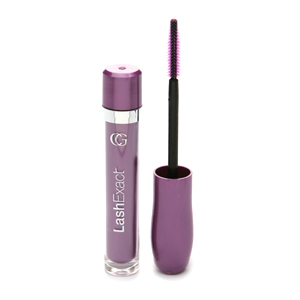 Ease of Application The cover girl mascara products are very easy to apply. they have long wands for accessing the mascara. They also have brushes to help lengthen and strengthen lashes. This product is simple and easy to use; i would recommend trying cover girl mascara if you haven't. I found pros and cons to this mascara when I used it. I found that it is one of Covergirls more expensive mascaras. I have thick eyelashes so one of the things I do like about the bristle brush is that it is thin and really seperate the lashes. It helps to get your lashes to seem longer. At the same time it does not help make your lashes look full. I think the brush does a great job of lengthing but not making them full. I think that the mascara does a great job of staying on. I found when I put it on it stayed on pretty much of the day. I do however think there are better mascaras on the market and are better priced. Performance Good for lengthing your eyelashes but not for making them look thicker. Ease of Application Very easy to use. The brush appilicator is a great size to get really close to the bottom of your eyelash to the tip really helping them to get the length. It really made me feellike I was able to get my entire lash easy and fast. When Cover Girl first came out with their Lash Exact Mascara with the very cool (new, at the time) applicator brush, I was lucky enough to get to try out a full size sample! I was so excited when it arrived. I love makeup and I love trying new things. And getting to try them for free? Well, that's a huge bonus in my book! This mascara works very well. At the time that I first tried it, it was the best mascara I had used to date. (I've since started using a Revlon mascara that I believe works better though.) I liked my sample enough that I have purchased this mascara a few times. Performance This mascara works well. It stays on all day and doesn't flake off too badly. I hate when mascara flakes get in my eyes, so that's really important for me. Ease of Application The brush is very cool. It combs through your lashes so you don't get as many clumps as you do with some other kinds of mascara. It wasn't quite as perfect as I had originally hoped, but it was an improvement over a lot of other applicator brushes.